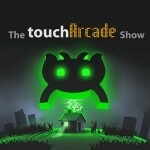 On this week’s episode of the TouchArcade Show we power… actually, we stay pretty much on topic. At the top, we address a pressing bit of user feedback before jumping into the latest, hottest, and best in iOS. Fibble and On the Wind lead off our games segment, and then we gleefully dive into a bunch of news-y subjects after the break. Topics include the latest rash of 3rd party peripherals and EA being voted the worst company in that one Internet poll. Feel free to join us. You can listen via one of the links below, or hey, subscribe to us on either iTunes or Zune. If you like us, subscribing is the easiest way to get our new podcasts the second they hit the web. Also, don’t forget to rate us and be sure to denote your team affiliation.